Sue Monk Kidd has touched millions of readers with her novels The Secret Life of Bees and The Mermaid Chair and with her acclaimed nonfiction. In this intimate dual memoir, she and her daughter, Ann, offer distinct perspectives as a fifty-something and a twenty-something, each on a quest to redefine herself and to rediscover each other. Between 1998 and 2000, Sue and Ann travel throughout Greece and France. Sue, coming to grips with aging, caught in a creative vacuum, longing to reconnect with her grown daughter, struggles to enlarge a vision of swarming bees into a novel. Ann, just graduated from college, heartbroken and benumbed by the classic question about what to do with her life, grapples with a painful depression. As this modern-day Demeter and Persephone chronicle the richly symbolic and personal meaning of an array of inspiring figures and sites, they also each give voice to that most protean of connections: the bond of mother and daughter. 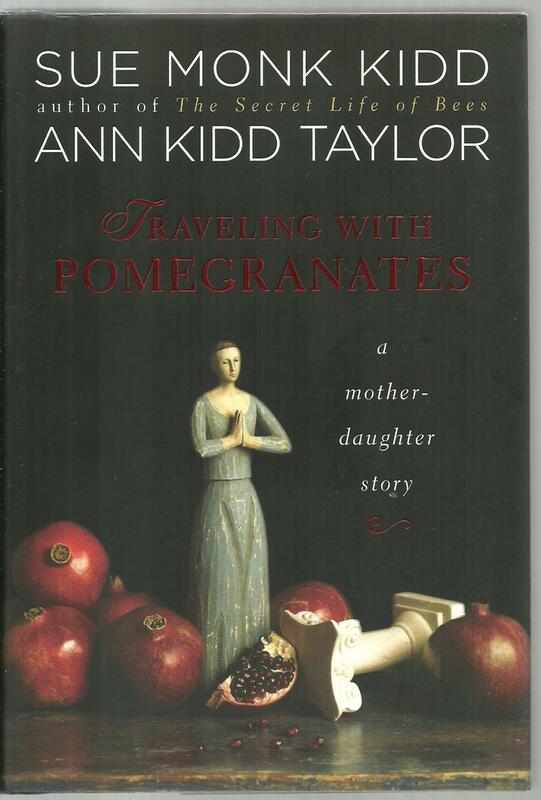 A wise and involving book about feminine thresholds, spiritual growth, and renewal, Traveling with Pomegranates is both a revealing self-portrait by a beloved author and her daughter, a writer in the making, and a momentous story that will resonate with women everywhere. Sue Monk Kidd is the author of three novels, The Secret Life of Bees, The Mermaid Chair, and, most recently, The Invention of Wings, which will be published by Viking in January 2014. The Secret Life of Bees spent more than two and a half years on the New York Times bestseller list, was adapted into an award-winning movie, and has been translated into thirty-six languages. The Mermaid Chair, a #1 New York Times bestseller, was adapted into a television movie. She is also the author of the memoirs The Dance of the Dissident Daughter, When the Heart Waits, and, with her daughter Ann Kidd Taylor, the New York Times bestseller Traveling with Pomegranates. Her early writings on spirituality are collected in the book Firstlight. The recipient of numerous literary awards, Sue lives in southwest Florida with her husband, Sandy, and their black Lab, Lily.